World-class halfpipe skier Molly Summerhayes attended the Winter Olympics in South Korea in 2018, having quickly risen through the ranks and made a name for herself on the international scene. 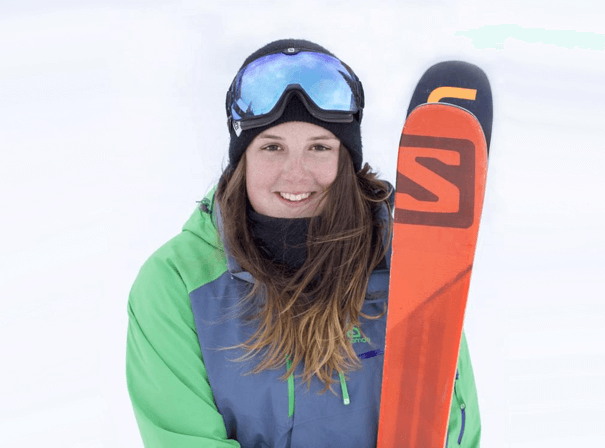 As the younger sister of two-time Olympic slopestyle skier Katie Summerhayes, she is clearly from a talented family, having herself finished 17th at the Winter Games. Even more impressive, given that she was faced with overcoming an almost career-ending knee ligament injury in 2016. At that stage, Molly had already reached great heights, having become a World Junior Champion in 2015. Summerhayes first took to the slopes at Sheffield’s Ski Village with her sister. Early on in her career, she followed in her Katie’s footsteps as part of the GB park and halfpipe team. Later on, however, she specialised in half pipe and went on to great success. In December 2018, upon learning that despite her credentials and great performances over the years she would no longer be eligible for funding, Molly announced that she would retire. Despite this, skiing still features in her life and she remains a great role model and inspirational figure for people of all ages and genders, proving that dreams can be achieved.